Theaterama (tm), is an entertaining, informative Internet TV websitepresenting VIDEO content that promotes America's talented and diverse Live Theater communities. These theatrical video programs and clips give a broad sense of the plays, actors, writers, directors, producers, creative craft and musical talents of the Live Theater world. Theaterama.com presents clips of performances, interviews with show people, reviews and analysis and exit interviews with patrons. We are curating, creating and acquiring original web series, full play productions, feature films and documentaries all based on theater. This is a great resource for schools and colleges, and wonderful free entertainment for theater enthusiasts, Theaterama is FREE for all viewers! Americans share a diverse culture that is reflected in our huge Theater Arts presence. Along with great theater entertainment programs and clips, Theaterama will be the one online destination the audience needs to seek current live performances, showtimes and ticket information in their zip code, or through-out the theater world. Site visitors will find videos with actors, directors, writers, producers, and other creatives who invent this magical world of live theater. Clips of live performances give viewers a taste of the entertainment offered. Site visitors can search the site by an criteria such as: by city, by Name of Show, by Cast and Crew names. Accepting our free subscription offer enables viewersto be eligible for weekly drawings to win theater tickets, gifts, and deep discounts to events. Being a FREE subscriber also makes it possible for viewers to watch plays and other live streaming theatrical events produced exclusively for Theaterama.com. PAT (CARDI) CARDAMONE is the concept creator and Co-Founder of Theaterama, a site that responds to the need for a deepening growth in American theater. Pat is also the creator and founding partner of MovieFone / 777-FILM, arguably the most successful application of Interactive Voice Response marketing ever created, and the first Shop-At-Home TV series "American Buyers' Club" the inspiration for the Shop-At-Home networks that followed. He is a member of Catholics In Media Associates (CIMA) and is a founding member of Holy Family Productions that produces the Sunday Catholic Mass weekly for television and the Internet. As a Producer/Writer/Director Pat Cardamone has provided production services to countless broadcast, corporate, industrial, and transactional media clients. He produced the television movie, "Criminal Desire" starring Michael York, and was a producer of televised production for the "Dedication To The Korean War Memorial" in Washington DC for The Creative Center. As an actor Pat (Cardi) starred and guest starred in several prime time network television series. Theaterama brings Pat (Cardi) Cardamone back to his thespian roots in live theater. Brandon Veyna is President and Co-Founder of Theaterama. He comes with a degree in Film and Electronic Arts from the University of California Long Beach, with a minor in Theater Arts. Brandon followed up with post-graduate studies at The Joanne Baron/D.W. Brown Studio. Working in the film industry Brandon has succeeded as production coordinator on national commercials and a touring lecture series, as well as casting director and talent representative for theatrical plays, commercials and short films. For the past 7 years he has worked in both administrative and production capacities for multiple production companies. Brandon’s love of theater is exemplified by his “Arts Empowering Education” practical approach to working within the arts and education communities. His passion for theater and digital technology, as well as his administrative and production backgrounds have been a resourceful and energizing driving force for Theaterama. 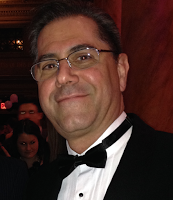 Doug Wyler has assisted in the creation of the Theaterama business structure. 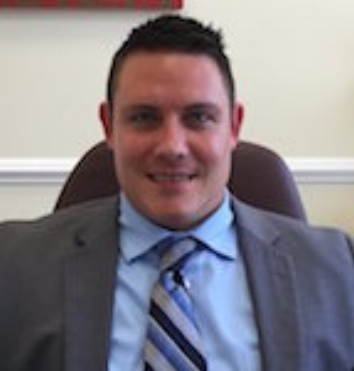 He currently is employed as Litigation Manager, for Jacobs Scholz & Associates, LLC, Fernandina Beach, Fl. He earned his Juris Doctor from Florida Coastal School of Law, Jacksonville, FL., and has a BA in Philosophy from Pepperdine University, Malibu, CA. Aside from being an avid live theater enthusiast, Doug is also a very active volunteer with Habitat For Humanity. As the president and founder of Video Concepts, Inc. and VCI Worldwide, a leading event staging and production company offering full-service technical services and direction, Pat is a consummate media professional building on a solid foundation of seasoned expertise, out-of-the-box creativity, and adetailed understanding of the most up-to-date technological advances in staging large-scale events, broadcast video and televised broadband production. Mr. Giovanniello’s expertise has been entrusted with the communications efforts of major companies such as Sony, MasterCard, Dow Jones, CBS Sports Network, Bloomberg LP, McGraw Hill, Lebhar-Friedman, Inc, Arthur W. Page Society, NYIT, Ann Taylor, Merck, Johnson and Johnson, Bacardi, College Sports Television, The Effie Awards, Alzheimer’s Foundation, Tennis Hall of Fame, NY Yankees Foundation, United Way, TV Weekly, Court TV, Walt Disney, Pepsi, US Today, Elizabeth Arden, The Ellis Island Foundation, Intelsat, New York Building Congress, Cannon. Pat has forged long-term relationships with his clients…some lasting decades! As an Advisor, Pat Giovanniello brings to Theaterama his broad range of knowledge regarding business building, company management, complex negotiations, working with unions, professional production practices, equipment, and the acute sense of the consumer experience. Mr. Rynerson holds a MA in business and an MAT in education from the University of Southern California (USC). He also earned his Doctor of Education degree (Ed.D.) at USC. He is an Apple Certified trainer in Final Cut Pro, the industry standard in film editing software. He has been teaching film making, television and editing for the past 6 years and was also a color specialist for Fuji FilmHe also is the Arts Technical Director at La Salle High School and Arroyo Rep. Doug brings a wealth of knowledge and experience in both theater and television tech to the Theaterama board. Ms. Lucas is a veteran producer, director and production designer of over 100 musicals and stage plays. She has worked for the Los Angeles County Dept. of Recreation developing the County Arts Performance Project. She is the Artistic Director of the Valley Repertory Company / Arroyo Repertory Theater and is currently the Department Chair for Visual and Performing Arts at La Salle High School where she serves as the Arts Director for ARCHES and Department Chair. Jude Lucas earned a Doctor of Education (Ed.D.) from the University of Southern California. It is anticipated that Jude's vast experience in theater and education will bring value and expert vision to all areas of Theaterama. Sr. Rose Pacatte, FSP, MEd in Media Studies – is the Director of the Pauline Center for Media Studies and the President ofCatholics in Media Associates (CIMA) in Los Angeles. She is a media literacy education specialist, an award-winning author andjournalist. Rose is on the boards of the Catholic Academy for Communication Arts Professionals, Journal for Media Literacy, and is a co-director of the National Film Retreat. She has served on the juries of film festivals around the world. Rose's loyal fan base follow her written articles and listen to her weekly radio commentary. Sr.Rose's insight into the Theaterama project has already brought great benefits to the plan.